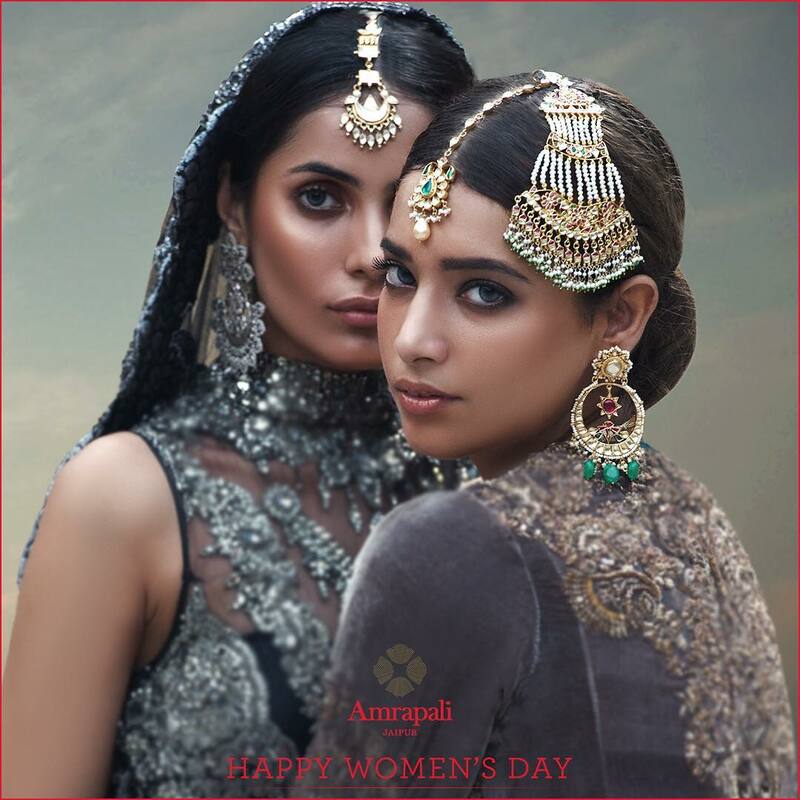 Wedding Jewelry Trends by Amrapali Jewels at Vogue Wedding Show! Amrapali Jewels is among the biggest names in Bridal jewelry. 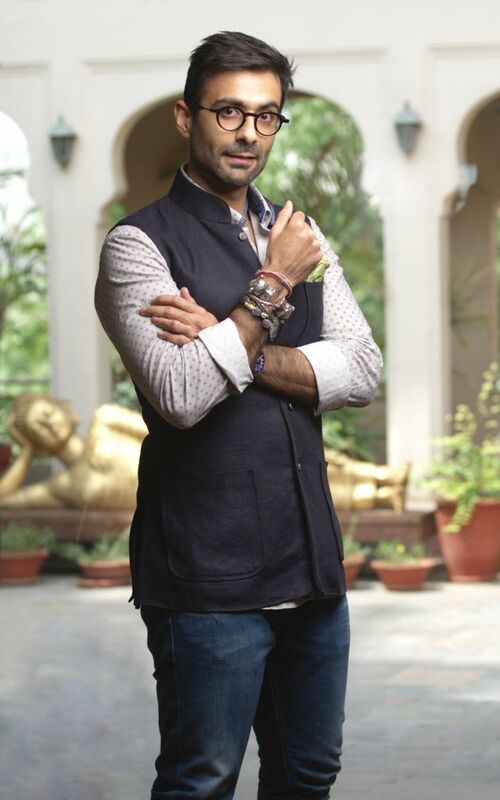 And here ace designer Tarang Arora of Amprapali Jewels shares the latest Wedding Jewelry Trends that’ll help you decide what to buy and what NOT to buy! What are this season’s biggest Wedding jewelry trends for Brides? Tamannah in a Stunning Amprapali Necklace! 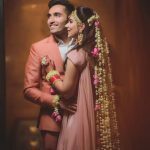 There’s a major shift back towards traditional jewelry, and chokers have been seen in trend for a while now and are chosen for at least one of all the wedding functions by brides! 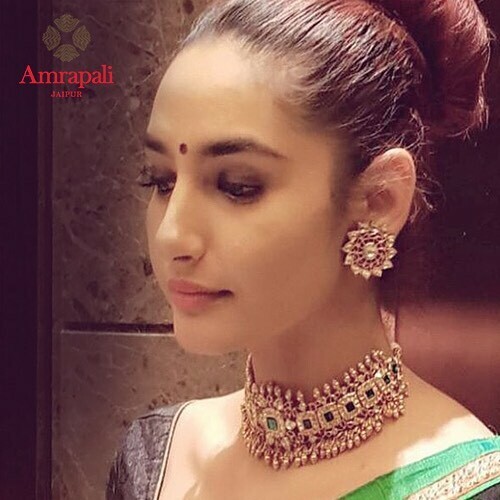 The beautiful Ragini Dwivedi in an Amrapali choker! Also, overtime its becoming very important that jewelry must be wearable in many different ways, so multi functionality and multi-usability of any piece of jewelry is quite important these days. What’s your latest collection at Vogue Wedding Show going to be all about? 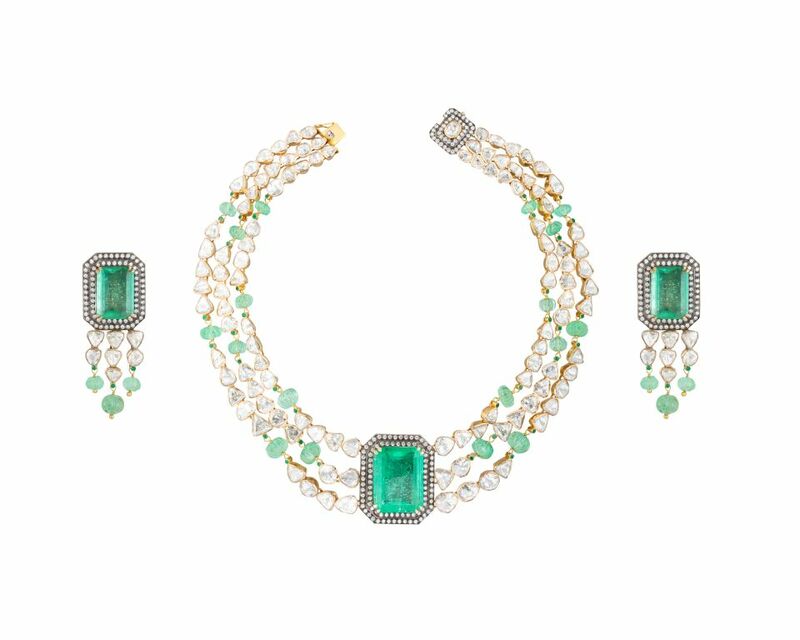 Most of the jewelry collection is going to be one of a kind masterpieces – you’ll see a lot of double-sided pieces, chokers connected with detachable necklaces are going to be an important part – so multi-utility! Beauty in Emeralds & Uncut Diamonds! Imagine, we’re using different techniques for front and back enameling to create different looks from front and back even though he outline remains the same! And necklaces that can be split into 2 – so amazingly giving 4 different styles from just one piece! What’s the inspiration behind this collection? Once we did a mughal garden theme and last time we did the Jaipur city palace theme. This time, we are looking at doing the walls of the palace and how the work and paintings on the palace walls reflect like you are in a palace! After oversized nose rings, what’s the next big thing in bridal jewelry? I have also talked about it in my past interview! I really wish that it is choti or the bride’s braid! Its such a important part of the bride in the South India and we don’t even look at it! The Lovely Aditi Rao Hydari in Amrapali jewels onscreen for movie Kaatru Veliyidai! 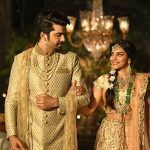 And I believe its such a beautiful and amazing accessories for the bride and I think it is definitely require to become the next big trend! Which is your hottest selling Maangtika style? Its becoming big and bigger! An oversized maangtika like a chaand, the moon shape is going like crazy! 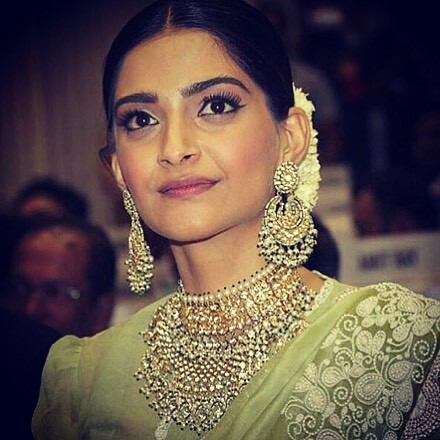 Women won’t wear that big necklace or earrings any more… but they want that big chaand on their head and its cool and nice! Which accessories are a must for every bride this season? Not one maangtika , not one choti. I have seen my mom wear a chand and a suraj in her hair bun at my wedding! 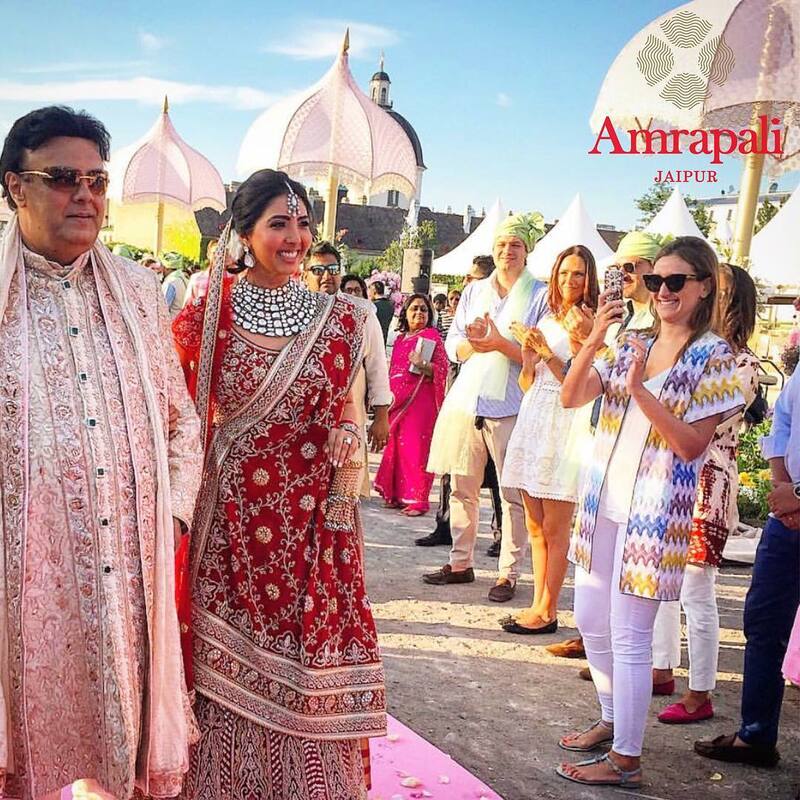 Lovely Bride Sonam wearing Amrapali in Vienna! There are so many things in the Indian culture and hair accessories are so cool. Talking about trends, I believe tikka will last for another year now. Even in case of men, on their safas they need to wear multiple broaches instead of one. What trends to look for in engagement rings? I have recently designed one for my sister’s engagement. On the inside curve of the ring there were two diamonds and I did like a hashtag for there wedding! It is such a personalized thing… why cant it be inside and just for you and your partner to love! What is that one piece of jewel every groom must care for? I would say that the sarpech or the kilangi as you call it – the regal headpiece on the safa! They are so special. You don’t wear it again and again, you get to wear them once in your lifetime. 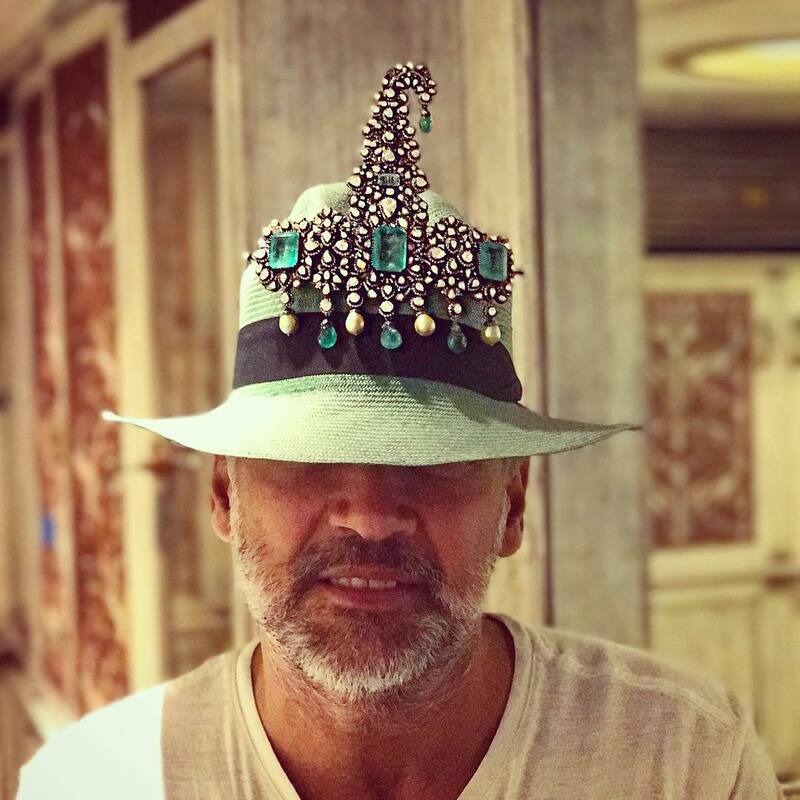 Its such a cool and fabulous piece on the top of your head. 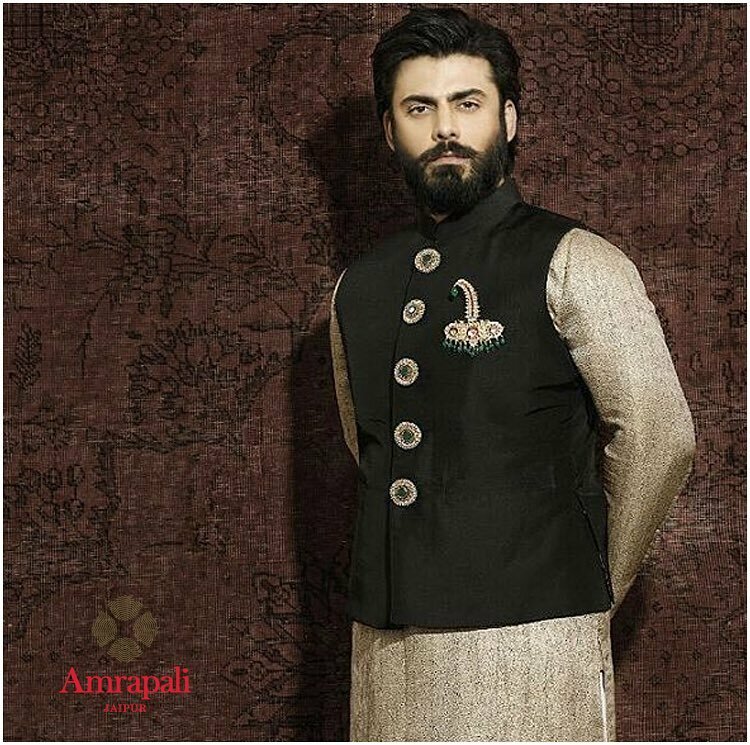 Fawad Khan looks Dapper in Amrapali! I have done weddings where you kill out the top and the bottom row of the kilangi and it becomes a choker for the bride. So it can be used later by the bride as well! So that should be the one stunning piece every groom must have! There… the latest wedding jewelry trends from the horses mouth! Now all you need to do is be there at the Vogue Wedding Show at Taj Palace, New Delhi between 4-6th August and experience it first hand! To register, you must visit www.vogueweddingshow.in or call +91 7045400070 or +91 7045400071. 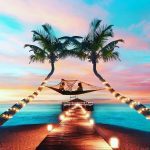 Wedding Invitation Ideas with EDC!